When it comes to our children we know that safety is a crucial factor so we really took our time, coming up with this list of the best convertible car seats available on the market in . That is not to say we have not kept an eye on the price of the seats, but we only deducted points if the quality of the product did not match the price point in any way or for any reason. So, for example, we did not deduct any points if a car seat made in the USA was 20% or 30% more expensive than another with the exact same characteristics that was made in China. We did take into consideration whether the age, height and weight range that the chair could be in use, and, since we were looking for convertible car seats, we were gave extra points to those chairs that were truly infant friendly, and that could be easily converted for babies and then toddlers. We actually gave at least part of our reasoning in the in depth reviews we have provided for each car seat, so make sure to scroll past the following list to get to the really good stuff. 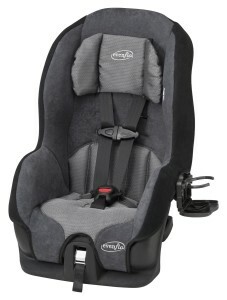 We are going to start with what we think is the safest convertible car seat, on average. 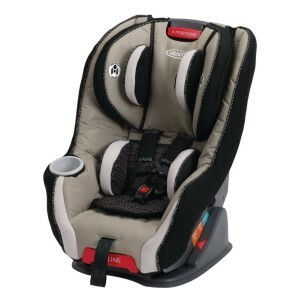 The Diono Radian RXT Convertible Car Seat has a full steel frame with several layers of padded cushions on each side of the head, rib section, and buttocks. In case of a major side impact accident your child has the equivalent of a half a roll cage around him. Needless to say, this does make this car seat a little on the heavy side, but that is not really our issue with it. 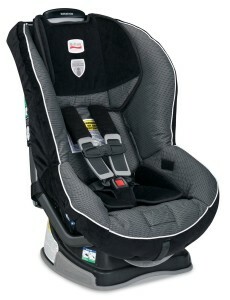 Our issue is that the Diono Radian RXT Convertible Car Seat is not really what we would call an infant ready chair, and, although a one month old would still be relatively safe in this chair, he would definitely become uncomfortable fairly quickly and would, therefore, proceed to make everyone else in the car equally uncomfortable. However, once your child has passed her infancy, she will be perfectly protected due to the chair’s energy absorbent harness system. There are several things that we like about the Recaro ProRIDE Convertible Car Seat but let’s start with the think that they themselves consider their strongest suit: they went back to the racing car chair and designed this convertible car seat from that. As a result you can still see the pads designed to protect the clavicle in case of a head front impact, the padding designed to protect the head, neck and face. In fact Recaro boast about the fact that the chair protects 5 of the most vulnerable parts of the body. The one thing that we can add to that is that, interestingly enough, even as the child grows, and you begin to convert the chair to his new size, the necessary safety padding is still in place. We also liked the fact that the chair is much lighter than most convertible car seats on the market. Finally, we need to take into consideration the fact that the Recaro ProRIDE Convertible Car Seat has earned a 4.6 star rating on Amazon from nearly 1,000 customers. The first thing that we need to say, as we begin our review of the Chicco NextFit Convertible Car Seat, is that we would recommend that you make your pick from one of these top 3 chairs. The other convertible car seats on our list do indeed have their merits, but these first 3 were the ones that truly blew our mind. 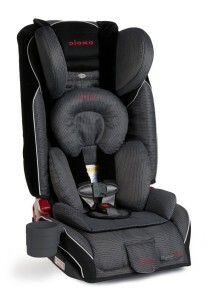 The Diono is a veritable roll cage and the Recaro is a racing car seat for children. The thing that impressed us about the Chicco NextFit Convertible Car Seat is the fact that it is a high density egg shell, capable of protecting your child from infancy to the point where he will not need to use a riser. That is actually, the only issue we take with the Chicco, in that it will not be there for your child until she is able to use the safety belt as an adult would, and she will need to use a riser for a few more years until she is big enough for the chair. The fact that we have top 3 does not mean there are not other impressive car seats on the market, and the Britax Marathon G4 Convertible Car Seat is a most impressive example of such a chair. It is the only chair so far that uses energy absorbent EPP foam in almost every side of the chair. That allows the chair to act like an all round bumper system that crushes upon itself absorbing the energy of the impact. In theory that means the baby will actually be protected from even feeling the actual shock of the hit. We were also impressed by the fact that the Britax is a relatively light chair and by the fact that it has managed to earn a 4.7 star rating from 310 customers. There is a principle that is less and less used in our world of smartphones and tablet PCs, but there used to be a time when, if you wanted a product to exceed, it needed to do one thing, but it had to do it right. That is exactly where the Graco Size4Me comes in; it is a chair that is not to be used with infants or small toddlers. As soon as your child is big enough to walk on his own, this chair will fit her, and we have to admit that, once you accept the minimum 20 pounds restriction, this car seat is quite impressive. It can be converted to fit your child as she grows to up to 65 pounds, and, it its safety harnesses are perfectly designed to grow as the child grows. 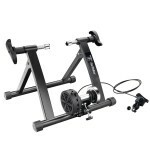 As we start the second part of our list, you will see some very interesting, desirable products, that will have certain significant drawbacks that you will need to consider. The Evenflo Symphony Elite Convertible Car Seat for example is by far one of the most comfortable baby car seats we have had the chance to test. It has an e3 Side Impact Protection System that acts like an energy absorbing bumper in case of an accident. However, the chair is poorly manufactured and, although it will perfectly fit your child’s needs for a couple of years, we highly doubt it that a second child would be able to use this as the workmanship is clearly not of the best quality. Still, it did earn a 4.5 star rating on Amazon from over 100 customers, so you should only take these concerns under advisement. 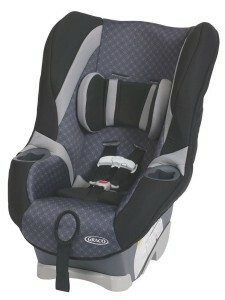 The Graco My Ride 65 LX Convertible Car Seat is the exact opposite of the Evenflo. The moment you take it out of the box, you can see the quality of the workmanship, but the level of padding is simply insufficient for a toddler. If your child has already passed the 40 pounds mark and can be seated in a forward facing seat, than the Graco is a perfect choice. 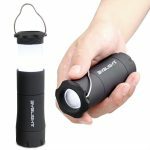 It has already earned the approval of more than 400 customers who awarded it a 4.3 star rating on Amazon that we were quite impressed with. 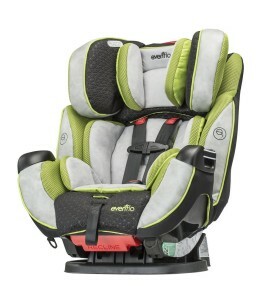 Staying within the theme of a car seat for a quickly growing child, we have to bring to your attention the Evenflo Tribute LX Convertible Car Seat. As you would expect from Evenflo, this is a chair that will blow you away because of the way it looks, but on close inspection you will start to doubt the quality of the workmanship. It is definitely of a better quality than the Symphony Elite, but that is because the final assembly was done in the United States. Most of its parts are actually made off shore, and you can still see some of their flaws, despite the obvious efforts of the US based workers to correct them. 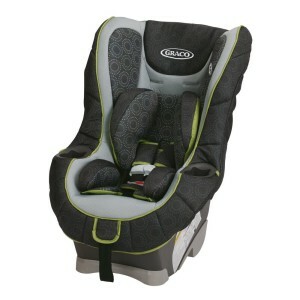 If you have the money for it, you should buy both the Graco My Ride 65 DLX Convertible Car Seat and the 65LX we talked about earlier. 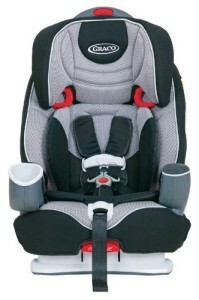 The 65DLX is the perfect car seat for toddlers, with sufficient padding and straps to secure even a 5 pounds infant. It also has EPS energy absorbing foam, so you can be sure that your child will be safe and secure. 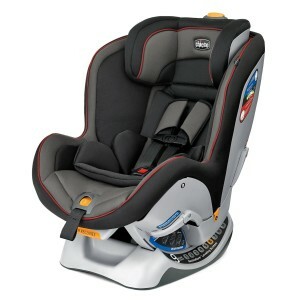 The seat also has several steel inserts in it, so, even though it may not be a complete roll cage, it does some of those features, and when coupled with the EPS foam, it makes this an incredibly safe seat for a child. 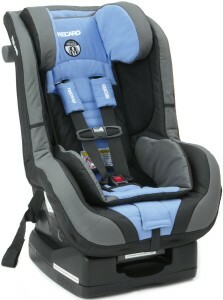 The final product on our list of the top 10 best convertible car seats is the Graco Nautilus. It will only work for a children 20 pounds and above, but, it will convert even to a simple riser. That means the moment when you decide to give up the Nautilus, you child will be able to switch to wearing a simple seatbelt. The one thing that we need to caution you about is to not be in too much of a hurry to get there. There are plenty of adults that are shorter in stature and who could benefit from a raiser to keep them perfectly safe, so make sure you do not take your child off of it until she is tall enough to be protected by the seatbelt.